It’s that time of the year again, when the country’s top gymnast come to together to compete for the Indian gymnastics league title. Yes the Indian gymnastics league season 2 is back and coming to you this year with a bang. 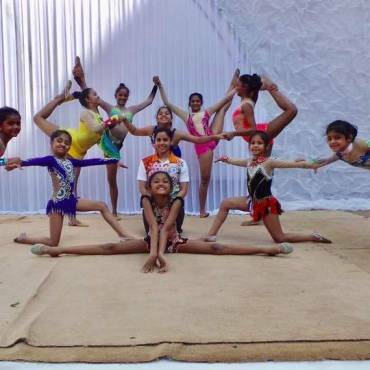 The Indian gymnastics league season 01 took place last year from the 1st to the 3rd of December at Prabodhankar Thackeray Krida Sankul, where gymnasts from all around the country came together to compete for glory. Thirty two gymnasts were selected and were further divided into four teams, Twisters, Bouncers, Jumpers, and Swingers. Each team consisted of four girls and four boys. The teams went head to head competing and the last team standing which took home the title, and a cash prize of Rs.100,000/- was team Jumpers who won by a mere 17 points. The runner up team, team swingers also took home a cash prize of Rs.50000/-. After last year’s success the Indian gymnastics league has made the general public more aware of the sport. The Indian gymnastics league season 2 is coming back bigger and better this year from the 7th to the 9th of December, at Prabodhankar Thackeray Krida Sankul. There will be more competition and lots of exposure; it will be one of the most glamorous and most exciting events of the year. So the question is, are you ready to be a part of it? You can also check out their Facebook, Instagram, Twitter, YouTube and Snapchat (@Indiangymleague) pages to keep yourself updated.